The goal of the Nightingale Math Department is to provide original, interdisciplinary curricula that challenges and justifies students. The curriculum is differentiated to provide a variety of instructional practices so that the individual student experiences activities that can vary in acceleration, depth and complexity. The Math Department seeks to relate the educational experience of children to their abilities, demonstrated achievements, interests and motivation. 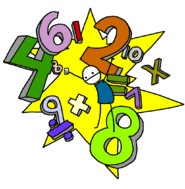 The Math Department aims to achieve student competence in the state standards, which represent the essential skills, and knowledge that all students need to be successful in their life long quest of education.